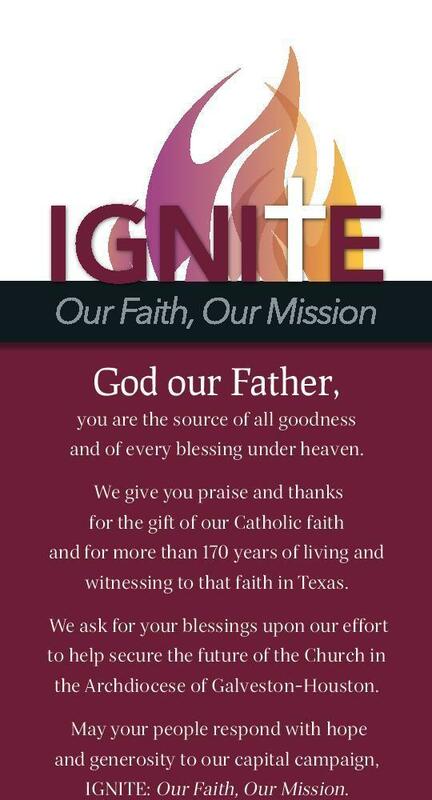 Call our parish office for more information. Faith Formation classes are open to all students in Kindergarten - 12th grade. Accommodations are available for those students who may need supports in order to successfully participate in class. For more information, please contact Silvia Nunez (K - 5th grades) at snunez@stmatthewhou.org; or Jocelyn Blanco (6th - 12th grades) at jblanco@stmatthewhou.org. Silvia and Jocelyn can also be reached at 713-466-4030. Sundays 8:30am - 9:45pm & 10:00-11:15 a.m. Faith Formation (religious education) classes are open to all students in Kindergarten - 12th grade. Accommodations are available for those students who may need supports in order to successfully participate in class. For more information, please contact Silvia Nunez (K - 5th grades) at snunez@stmatthewhou.org; or Jocelyn Blanco (6th - 12th grades) at jblanco@stmatthewhou.org. Silvia Nunez and Jocelyn Blanco can also be reached at 713-466-4030.